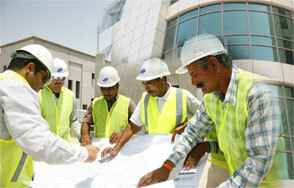 Emirates Link Maltauro (ELM) is one of the leading general contracting companies in the UAE. With vast experience in the construction sector, ELM takes pride in executing several landmark projects in the Middle East. Over the years, ELM has offered unsurpassed quality in the construction sector adopting the latest technology including field works, administration and project management. With an outfit of highly qualified professionals and engineers, ELM ensures that every contract is executed under strict professional supervision. We have embarked on a mission to work hand-in-hand with our partners, to implement creative business solutions, while maintaining the highest standards in the industry. Emirates Link Maltauro's vision is to become a leader in the Field of General Construction Contracting in United Arab Emirates and the Region and most of all to be trusted as the number one source for high quality and innovative services.